Global leaders gather in Copenhagen on Dec. 7 to discuss a new international agreement on climate change. A hotter globe will have a profound effect on how we live our lives  and also on our economies. TIME looks at 10 exports  from Italian pasta to Argentine honey  that are likely to be hit as our climate shifts. Home to some of the world's most revered winemakers, France is losing its enviable climate for grape growing. Because a wine's taste is a result of the balance of sugar and acidity in the grapes it is made from, the right growing temperature is essential. Grapes grown in cold are unlikely to develop fruity flavors, giving an acidic taste. Warm weather produces too much sugar, leaving a "jammy" and heavy taste. 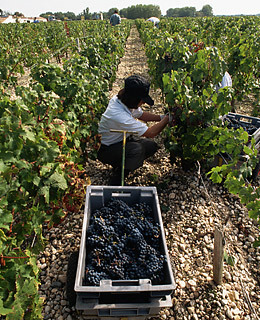 Top French sommeliers and winemakers have written an open letter to French president Nicholas Sarkozy demanding action on climate change to protect one of the jewels of French culture, or at least the temperatures those precious grapes are grown in.